Tim Hetherington, killed in combat on April 20, 2011 in Libya, was considered by many to be the finest multimedia journalist of his generation. In a 15-year career, Tim shaped the fields of photojournalism, documentary film and video. His deeply conceptual books helped establish new directions for narrative photography while his Oscar-nominated film, Restrepo, changed the way Americans viewed the Afghan war. 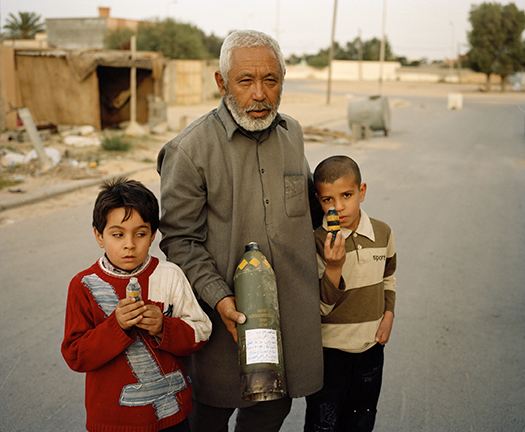 This exhibition shows Tim's work from Libya for the first time. Other seminal works that reflect his visionary approach to image-making are included here as well. Born in Liverpool, England in 1970 and educated at Oxford University, Tim began photographing in the 1990's for a magazine dedicated to London's homeless. An early proponent of multimedia, Tim frequently combined words, sound, photography and film. He soon gravitated to West Africa, where he made a name for himself covering the Liberian civil war. Despite his successes, Tim never lost sight of the human dynamics behind the violence he documented. Indeed, human behavior in the face of war was his primary interest. During his first visit to Libya in March, Tim noted a bizarre element of theatre in the rebellion. 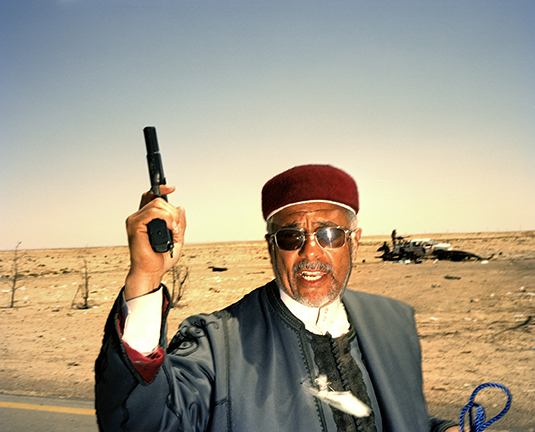 Armed with a medium-format film camera and a small video camera, Tim returned to Libya one month later to capture images that were revealing and powerful--the parading of guns, the fighters photographing one another with their cell phones, the shattered still lifes and landscapes that would never make the daily press. 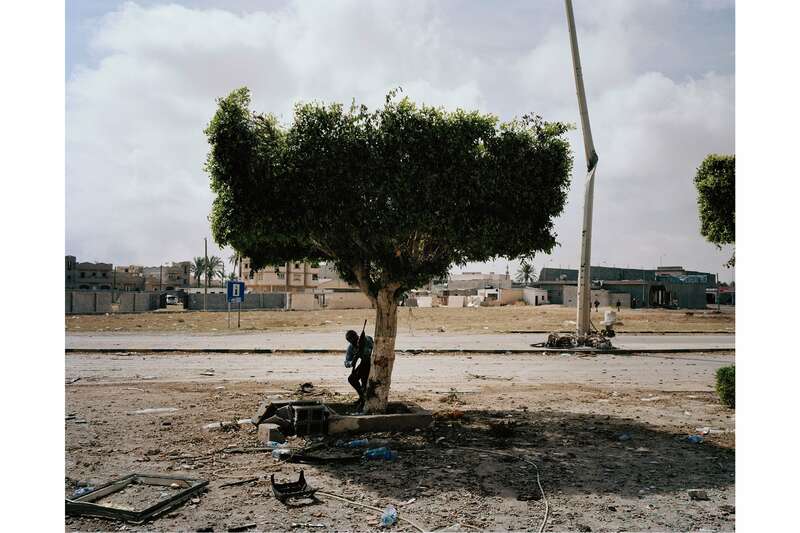 In the besieged city of Misurata, Tim changed focus and began photographing house-to-house combat and the vicious and deadly street fighting. Combined, Tim's visions help create a unique record of Libya's revolution before he was felled by the very artillery barrages that he documented. Special thanks to Michele McNally, Christopher Anderson and Whitney Johnson. Exhibition design concept by Jeroen de Vries.